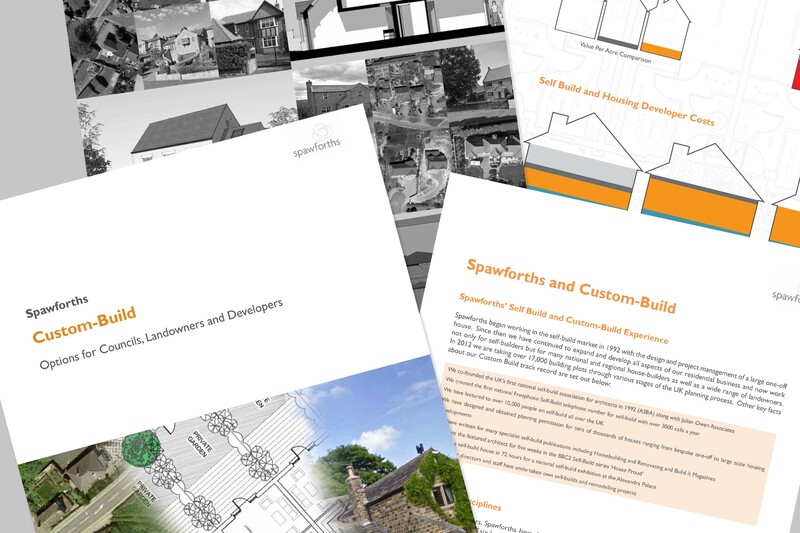 For the last 25 years, Spawforths have been heavily involved in the custom build and self build industries, establishing the first national network of architects dedicated to the self-build market, creating the first national 0800 number help line and advising many tens of thousands of families through seminars, conferences, publications and architects services. Our in-house architects have been involved in designing many one-off houses as well as group custom-build sites and can advise individuals, local authorities, housing developers and registered providers on how to optimise a site, obtain planning permission and deliver high quality custom-build schemes. We offer assistance in site promotion and, if you are an individual looking for a plot, help you identify land that is suitable for building your first family home or your own Grand Design! Our in-house architects and planners work for individual self-builders, landowners and custom build developers wishing to deliver sites with multiple serviced plots. More recentlywe have begun working with registered providers wishing to use custom build as a way of helping young families onto the housing ladder as part of wider regeneration and housing delivery strategy.